2018 saw a surge not only in technology innovation, but government overreach as security concerns reach an all-time high. But while Europe’s new GDPR requirements forced organizations around the globe to re-think their data security practices and re-gain their customers’ trust, Data-as-a-Service (Daas) was still a huge theme for organizations looking to do more with their data assets. Leveraging data analytics is the key to success for any organization, whether they are looking to sell those assets or not. I had the pleasure of interviewing Rick Bingle, SVP of Supply Chain Operations at REI on how organizations can leverage data assets to create more relevant and personalized experiences for their customers. You can read the interview in full below, which was one of 12 interviews conducted for a report in partnership with our sister network, the CMO Council. You can download that research here. Rapid response to a shifting environment, increasingly-complex data ecosystems, the need for data security and the recognition that there must be a single view of the customer across units has raised the question of organizational complexity and structure. Author Jesse Newton rightly says that organizational structure often creates the lion’s share of complexity within an organization. Learn more about his research on how to crush complexity to liberate innovation in the contributed article below. While you’re at it, learn how GDPR is impacting marketing operations here. Looking forward, 5G is knocking on everyone’s door, as the opportunities it presents in the connected economy are inevitable. Still, security concerns are high as we enter into this whole new world. Check out our feature program and contribute your insights on how we can secure the future of a smart world. Innovation is not just about pushing the envelope of technology. 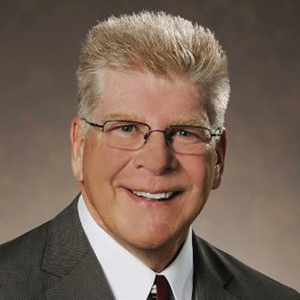 Les Meyer, BPI Advisory Board member shares his insights in the feature article below on the future of behavioral health in the workplace as companies increasingly look to invest in the health and wellness of their employees to improve mental health in the workplace. 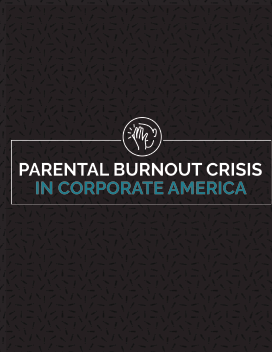 This is certainly a vital topic, given new BPI Network research that highlights the parental burnout crisis in corporate America. In fact, over 60 percent of 2,000 parents surveyed report they have experienced some form of parental burnout (PBO). Two of the top three contributors to PBO are job or career-related. Indeed, nearly 30 percent of respondents point to pressure or exhaustion from work or managing the home, and a similar number believe financial concerns, demands or limitations are primary PBO contributors. Check out the feature report. Founded in 1938 by a group of Pacific Northwest mountaineers seeking quality equipment, REI operates retail stores nationwide, two online stores and an adventure travel company called REI Adventures. REI offers products from top brands for camping, climbing, cycling, fitness, hiking, paddling, snow sports and travel, including its own line of outdoor gear and apparel. Senior Vice President of Supply Chain Rick Bingle is responsible for managing and growing the distribution and logistics function in order to provide quality experiences for all REI members. He shares ways in which the company leverages data to ensure they are working effectively to complete business functions and satisfy consumer needs. He says his goal is to ensure that customers can have free-form access to the organization through their preferred method. He says these data insights enable the supply chain team to make strategic operational decisions across the company about how and where to position inventory. “All of the data about our customers—including how loyal they are, where they like to shop, how often they shop and whether they buy full-price items or look for promos—allows us to pull together a deployment strategy that fits our customers’ needs,” he says. REI is a membership-driven organization, which provides a significant advantage in terms of gaining data insights. He says that transactional data connecting back to an individual member is instrumental in elevating the supply chain process. He says the challenge for his team is not the sources of data, but rather the inferences they are able to achieve from the data. “Our challenge isn't so much the absence of data but how quickly can we review the data and create inferences from it,” he says. In retail, it is vital for supply chain and operations to listen to both marketing and merchandising. However, each team still uses its own unique tools, making collaboration more difficult. In an ideal world, he says he could sit down with the divisional leads of marketing, merchandising, product, retail and operations and easily connect all of the disparate information from them to create a holistic understanding of how everything comes together. In the absence of a system that unifies them, he says they have collaborative, cross-divisional conversations that allow them to constantly tweak their alignment. These conversations are held in the form of bi-weekly, cross-functional meetings in which the teams analyze sales trends in both a backward- and forward-looking way. The operating plan is set up through the lens of how to drive frequency and customer traffic, establish the product plan, lay out what will be on sale and when, and analyze customer communications through digital versus in-store. “The merchandisers talk about the product plan, the marketing team talks about their engagement tactics, the retail team talks about strategy, and the operations team needs to ensure that we have the capacity to meet the expectations raised in the conversation,” he says. REI differentiates itself as a company through the experiences they are able to create online and in stores. He says this drives a very different conversation relative to the data. He says there are hundreds of measures around how to look at logistics, but organizations that have superior supply chains focus on just a handful of data points that really change the outcome, whether for customers or financially. At REI, they look at four unique measurements. He says their data analysts have aggregated a number of tools that are helping to make this process far easier. He says the biggest difference around data insights comes in hiring the right people. He says they started by bringing in analysts, which allowed them to begin identifying data gaps. Then, they sought out tools that could bridge those gaps. The next piece is to integrate artificial intelligence. This interview was one of 12 interviews of leading executives across marketing, commerce, supply chain and data for a report done in partnership with our sister network, the CMO Council. To purchase the full report, including all interviews in full and 20 charts and graphs from a survey of 165 executives, or to download a free executive summary, visit: https://cmocouncil.org/thought-leadership/reports/doing-more-with-data. Covering the theme of this year’s event ‘Intelligent Connectivity,’ this conference will deliver keynotes, track sessions, partner events, tours, and seminars to address how the industry can benefit from the evolving combination of flexible, high-speed 5G networks, the Internet of Things (IoT), artificial intelligence (AI) and big data.